News coverage by San Jose Mercury News. Calm the Skies mounts protest against Surf Air at San Carlos Airport. 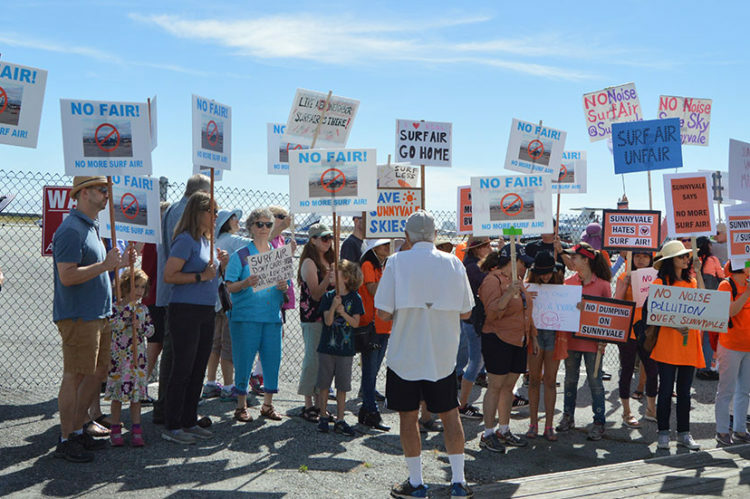 Calm the Skies, a group formed of residents of Atherton, North Fair Oaks and other cities that are under the flight path of Surf Air Pilatus PC-12 turboprop airplanes, held a protest at San Carlos Airport on Sunday calling for Surf Air to leave the area. Some 80 people, residents of cities as far away as Sunnyvale, showed up with signs and bullhorns to chant “Go away, Surf Air” and other slogans. They also chanted at some Surf Air passengers — on the other side of a fence from the tarmac — who reacted by making photos of the protesters, according to Jennifer Tasseff, who was there. Sunnyvale residents have joined the protest because when the Surf Air airplanes are on one of two approaches to land at San Carlos Airport, they go over a portion of that city. It is indicative of the noise created by the turboprops that even at that higher altitude, they still significantly disrupt the quiet. 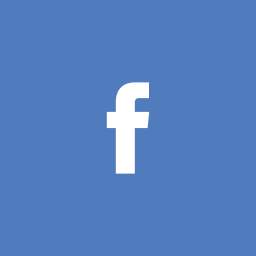 A phone call to Supervisor Lee Horsley, who attended a meeting on the issue in the Pavilion Building at Atherton’s Holbrook-Palmer Park in August 2016, was not returned before deadline. Ullman, who has filed suit against Surf Air in the past in Small Claims Court, in an action that lost on appeal because the judge thought it should go to Superior Court, said Ullman, appreciated the protest on Sunday. Ullman agrees that the county “has to put something together,” and notes that the recent management change at Surf Air — CEO Jeff Potter and senior vice president of operations Jim Sullivan are out, and a management company, Encompass Aviation, has taken over — has put efforts to regain some quiet behind. The county board of supervisors is expected to take up the issue again in July, and several options have been floated, from establishing some kind of curfew limiting flights to raising airport fees enough to make it a problem for Surf Air to operate.